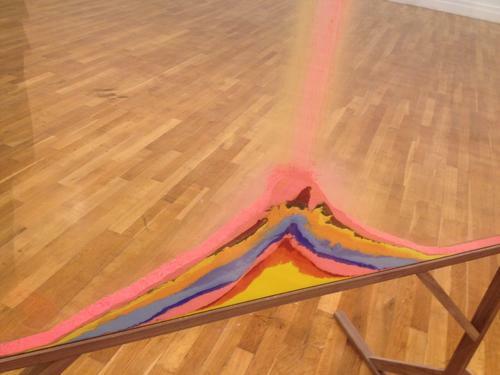 The RHA are pleased to be hosting a new quiet by Dublin based artist, Mark Garry. This is the fifth major solo exhibition Garry has undertaken over the past twelve months. Mark creates beautifully considered ephemeral works that act as embodiment’s of slow time. His works are measured and quiet, often requiring meticulous systems of construction. They combine physical, visual, sensory and empathetic analogues, creating arrangements of elements that intersect space and form relationships between a given room and each others. Garry’s work stems from a fundamental interest in observing how humans navigate the world and the subjectivity inherent in these navigations.This exhibition of new works incorporates a diverse range of related materials that combine to form carefully structured poetic narratives between images, material and objects. It quietly notes the manner in which actual and historical cultural elements resonate in this particular moment and the types of shadows we as humans cast. Garry represented Ireland at the 2005 Venice Biennale in a group exhibition and Ireland at Venice 2005, which was subsequently presented at the Lewis Glucksman Gallery, Cork,. Recent selected solo exhibitions include: The Model and Niland collection, 2014, Kerlin gallery, Dublin, 2014 Lafayette projects Marseille, France, 2014, City gallery, Charleston South Carolina, USA.